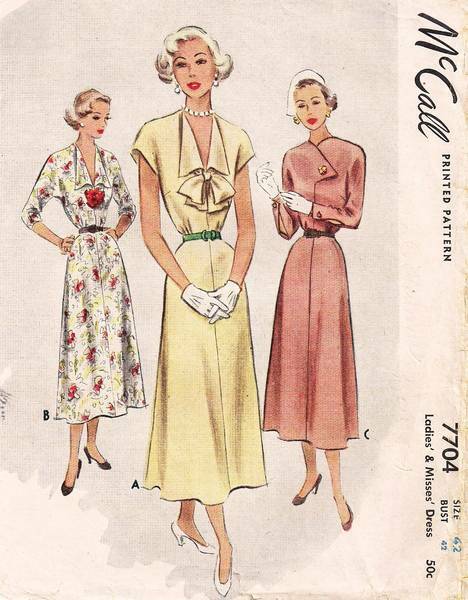 Graceful dress with simple lines and post-WWII longer skirt length. Sleeve cut-in-one with bodice may be short, 3/4 length or long with button feature. Convertible collar with optional bow. Self fabric belt.